La Chocolatière, perfect for making a delicious cup of drinking chocolate. Use real chocolate flakes or instant powder, for a delicious frothy drinking chocloate, hot or cold. 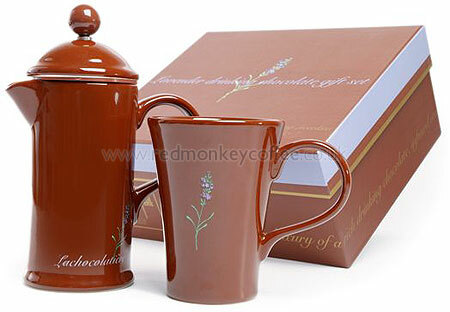 Gift set includes an 3 cup Chocolatière pot and, matching mug and a sachet of lavendar drinking chocolate.